May | 2013 | Unity and Ubuntu – Tweaks you must know! 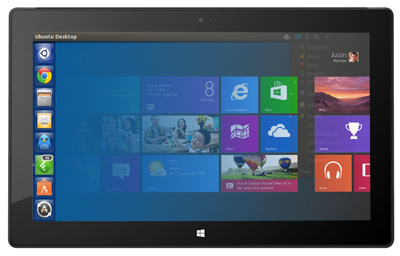 Own Microsoft Surface Pro tablet? If you do and you want to make it insanely cooler you could install Ubuntu on it. The Surface Pro, with an Intel i5 CPU, 4GB RAM and speedy 64GB SSD, not to mention a 10-point touch screen, does make for a dream Ubuntu PC/tablet hybrid on paper. Game anyway? Hit the link below for the full tutorial. Surface Pro Owner? Here’s How to Install Ubuntu OMG! Ubuntu! – Everything Ubuntu. Daily. This entry was posted in How To, microsoft on May 31, 2013 by unityadmin. Cutter is an open source program that uses the FIN-ACK-RST packet technique described above to abort TCP/IP connections routed over the firewall or router on which it is run. This entry was posted in Cutter linux examples, Cutter ubuntu, desktop, install Cutter ubuntu, Networking, Security on May 30, 2013 by unityadmin. Actually, it sort of has – just not in the way most of us would’ve guessed back in 2004. Android is an open-source Linux-based operating system that commands a hefty share of the computing market; and sales of Chromebooks, powered another open-source Linux-based OS, are increasing by the month. With more even more devices powered by open-source, including FirefoxOS and Intel/Samsung’s upcoming Tizen, on the horizon the footprint of free software on the wider computing market is only going to grow larger at the expense of Microsoft and their Windows OS. “Personal computing today is a broader proposition than it was in 2004: phones, tablets, wearables and other devices are all part of the mix for our digital lives. From a competitive perspective, that broader market has healthy competition, with IOS and Android representing a meaningful share. Mark Shuttleworth Marks Bug #1, ‘Microsoft Has Majority Marketshare, As Fixed OMG! Ubuntu! – Everything Ubuntu. Daily. This entry was posted in bug, markshuttleworth, microsoft, News on May 30, 2013 by unityadmin. autossh is a program to start a copy of ssh and monitor it, restarting it as necessary should it die or stop passing traffic.The original idea and the mechanism were from rstunnel (Reliable SSH Tunnel). With version 1.2 of autossh the method changed: autossh uses ssh to construct a loop of ssh forwardings (one from local to remote, one from remote to local), and then sends test data that it expects to get back. This entry was posted in autossh startup script ubuntu, autossh ubuntu, desktop, General, install autossh ubuntu, Server on May 28, 2013 by unityadmin. Wake up! There’s a new Humble Indie Bundle waiting to have your cash thrown at it! The drill, as always, remains the same: the Humble folks have some games, and you can buy them for however much you like. Offer up more than $1 and you’ll also grab a key to redeem these games on Steam. Humble Indie Bundle 8 Launches with 7 New Linux Games OMG! Ubuntu! – Everything Ubuntu. Daily. This entry was posted in Gaming, humble, News on May 28, 2013 by unityadmin. Following Mozilla’s axing of direct development on Thunderbird, and lightweight mail app Geary failing to get funding, the desktop mail client was looking doomed. Standalone Opera Mail Client Coming to Linux OMG! Ubuntu! 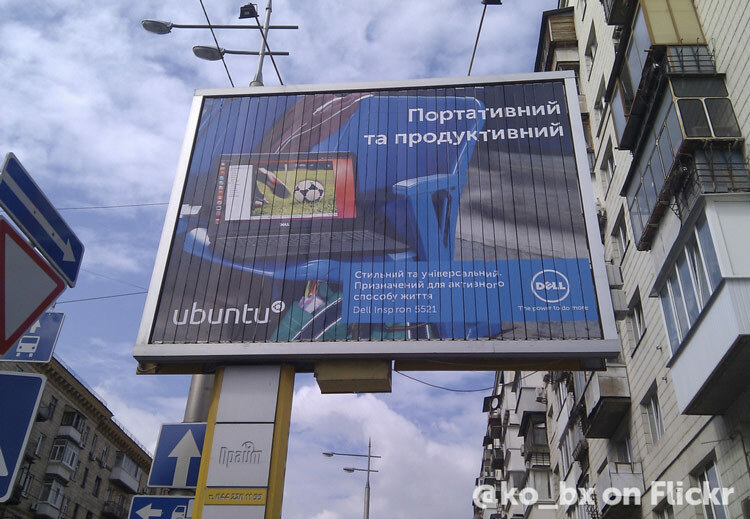 – Everything Ubuntu. Daily. This entry was posted in email, News, opera on May 28, 2013 by unityadmin. TuxOnIce is most easily described as the Linux equivalent of Windows’ hibernate functionality, but better. It saves the contents of memory to disk and powers down. When the computer is started up again, it reloads the contents and the user can continue from where they left off. No documents need to be reloaded or applications reopened and the process is much faster than a normal shutdown and start up. TuxOnIce has a long feature list, including the ability to cancel hibernating or resuming by pressing Escape, image compression to save time and space, a versatile plugin architecture, support for machines with Highmem, preemption and SMP. In general, you do NOT need to change any configuration file and you do NOT need to install the hibernate package. TuxOnIce automatically determines your swap partition. Just install the 3 packages above and try to supend and resume (“sudo pm-hibernate” in command line). If suspend or resume does not work, take a look at “/var/log/pm-suspend.log” and “dmesg”, provide feedback on the mailing list, file a bug or contact the TuxOnIce PPA team members. This entry was posted in desktop, enable hibernate functionality ubuntu, General, hibernate functionality ubuntu, Tuxonice, TuxOnIce ubuntu ppa on May 26, 2013 by unityadmin. Popular PC sport simulation game ‘Football Manager’ will support Linux with its next major release, games developers Sports Interactive have said. The news means that the upcoming Football Manager 2014 will be the first official release of the series on Linux. Thanks to Steam, the game will be available to buy on one platform, but install and play on all; you won’t need to buy it again to play it on your Macbook or Windows partition. Furthermore, the Linux release will support “cross play”, enabling connection with/playing against Mac and PC users. Football Manager is a football management simulation game. The goal (pun intended) is to buy, sell, build and train the ultimate football team, play them against others in various tournaments and cups with the aim of coming out top. The game is made by Sports Interactive and published by Sega and is a continuation of the Championship Manager series started in 1989 by the same developers. Legal fallout from a split with publisher Edios Interactive forced the developers to change the name. Football Manager is released annually for PC and Mac users, though PSP and XBox 360 versions have been produced in the past. Football Manager 2014 is expected to see a release date sometime around October. Football Manager 2014 Will Support Linux OMG! Ubuntu! – Everything Ubuntu. Daily. This entry was posted in football manager, Gaming, News, steam on May 26, 2013 by unityadmin.